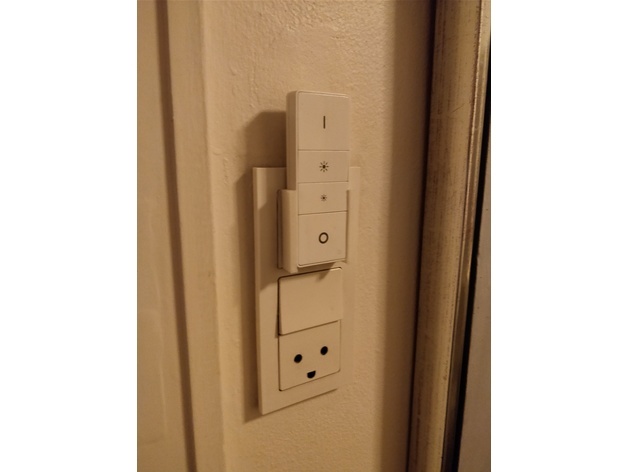 How to make regular wall switches smart? Long story short, having smart bulbs and relays, but still using regular dumb wall switches is a big problem. It is something A LOT of people are trying to deal with around here. Especially since everyone wants to keep their original wall switches and frames to keep the look throughout the home. -Tried to use a Shelly 1 with a standard 1 button switch in detached mode, to at least get a single button. Unfortunately I never got the MQTT to work with Homey, and it only supports simple clicks, no holds, releases, multi clicks etc for dimming/scenes. So this could for example be ESP8266 based where I just connect the buttons to GPIOs I assume? I would really appreciate it if I could get something with all 4 buttons working, and where I could use single click, 2x, 3x, 4x, hold and release like the Hue dimmer etc. It doesn’t matter much for me whether it is something that will be on mains, battery or how it is connected. I just need to somehow be able to control my zigbee lights etc, that are currently paired directly to my Homey. As Homey supports MQTT and many other ways to interact, so it probably will not limit solutions too much. Any help, inspiration, tips, insight etc. would be highly appreciated! Works great. Touch for on/off (this also works stand-alone if not connected to a hub or when hub is offline) or remote via Homey (or other z-wave hub). Very cheap. Also available in single switch. 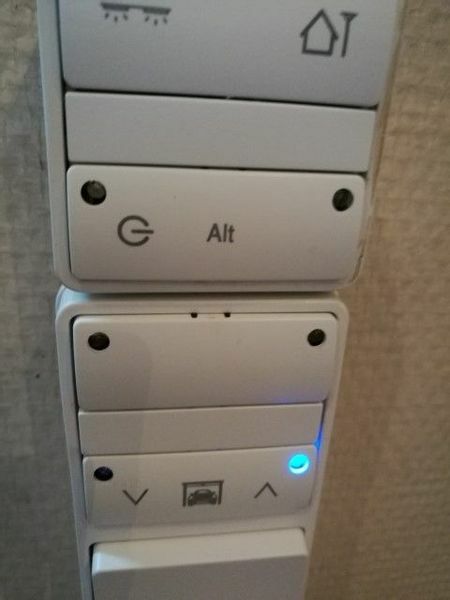 Alas it doesn’t work for “hotel” switches (ie one below and one upstairs that control the same bulb). And you have to supply a blue wire in the wall mount for powering the switch. Also available in dual version. For the record, i have no experience with them. Place a fibaro switch or dimmer behind the new pulse switch. 3 AND if all fails (homey down, wifi down) your fibaro will still control the light via the press of the button. For the Netherlands it all fits in the wallbox. FIBARO provides wireless home automation solutions. FIBARO smart home devices allow to convert any home into a true smart home - Homekit and Siri compatible. Unfortunately it does not fit I do have a Fibaro in one of my outlets, but I had to remove the middle button and insert a blind there for it to fit. Our wall switches are really small. Unfortunately, I could not find anything useful in that. Thanks anyway though. Can you fit the fibaro in the lamp itself or in the roofbox? And run the wires to your switch? Installed electrical solution into the HS system. Otherwise its half done… Just buy some zwave flush modules from fibaro/qubino/aeotec and others? All have inputs for the wall switch etc. I did fit the Shelly 1 I mentioned that way, but it was extremely close. And I still haven’t gotten it working either with the switch set to detached. I do however have a Fibaro dimmer 2 in one place, where we don’t have smart bulbs. For that it’s great. Unfortunately, doing so won’t work as they won’t fit, and will be too expensive compared to actually buying ZHC5010. Also I don’t think it would work either, according to my experience with Shelly. Disadvantage is that it only fits in a UK wall socket, Still mailing with Aqara for the EU 50mm wall socket version that should be released this year. Fibaro can be integrated into a wall socket and only needs 2 wires. 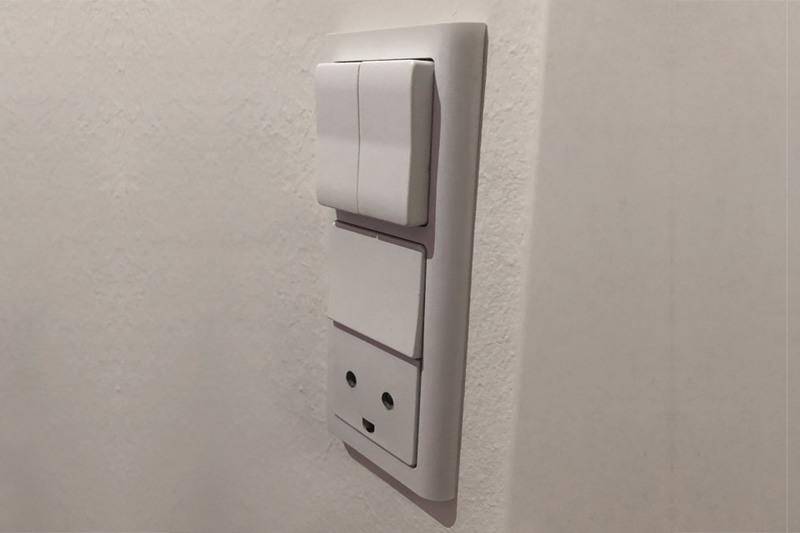 However from my experience it is a crime to mount fibaro units into the wall sockets and in some scenarios where you have to pair the Fibaro again, you have to open the socket(s). 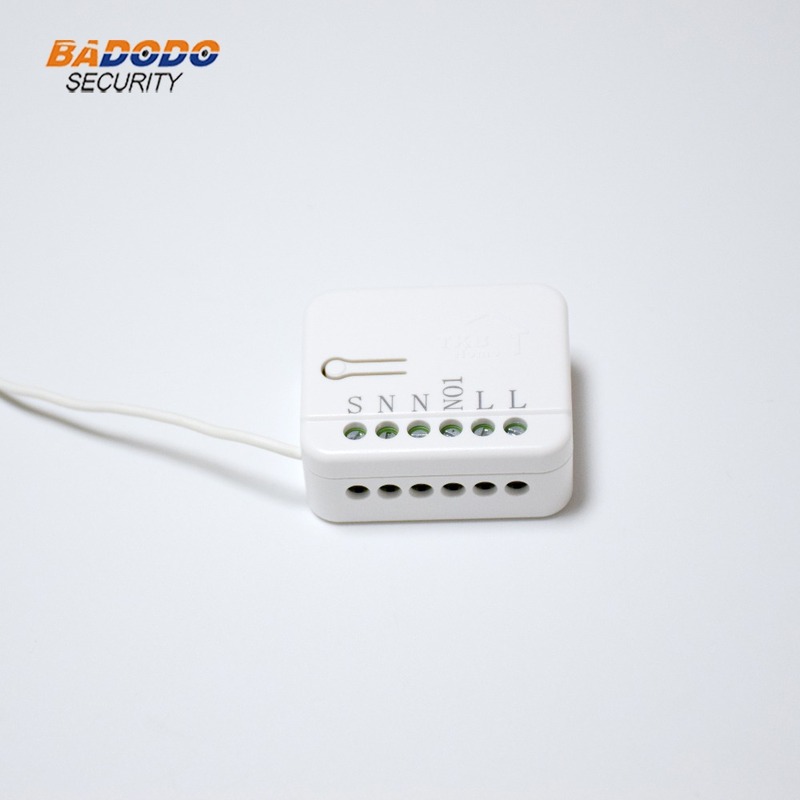 If i am not totally wrong, the Fibaro Dimmer should also work with 2 wire. Unfortunately(as far as I can see) this Shelly also requires a neutral to be connected (3 wire connection). This will be too much work in my new home to rewire the entire house. Then the Fibaro is still a better solution. Fibaro Dimmer (2) works without neutral wire. You might need a LED bypass when connecting low power LED lights to prevent flickering. And yes, getting them to fit can be a hassle. If it is a new home, then the wires should run through the central ceiling pot. Getting a blue wire from there to the switch shouldn’t be too much of a hassle? Another option is to mount the insert module in the lamp if there is room for it. Blue shouldn’t be a problem there.